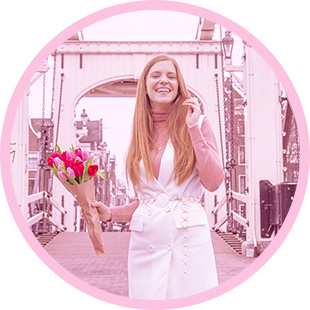 In the blog post series ‘Talking Style With…’ I’m interviewing fellow bloggers about their style. And I ask them for tips of fun unknown shops, and how to find your own style! This time, I’m talking style with Iris of A Dash Of Fash! So, time to get to know her and her style a little better! 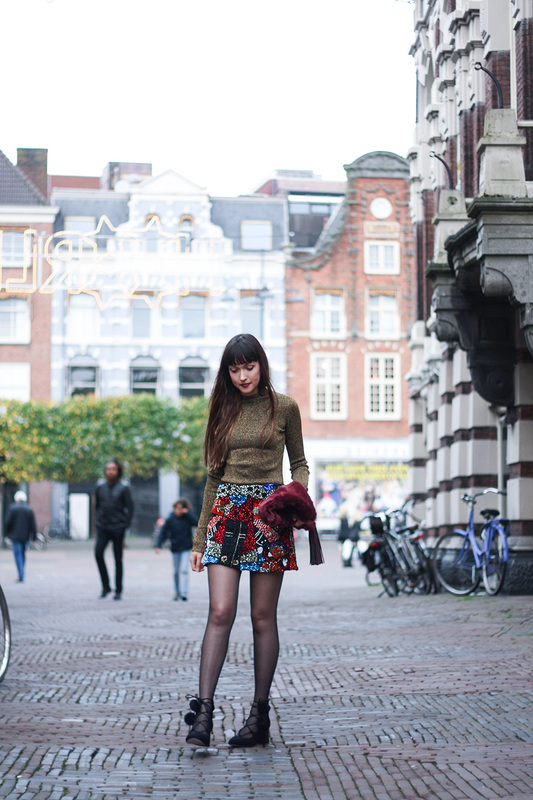 An eclectic mix of streetstyle and girly looks. I love creativity, and I like to add an eyecatcher to my outfit. My best OOTD’s, tips about shopping and carreer, and peeks into my interior. The Proenza Schouler PS11 bag. A turtle neck top with an a-line skirt (preferably suede or denim) and high boots, or skinny jeans with a long sleeveless waistcoat, turtle neck top and sneakers. Chic, and I can pull it out of the closet without thinking about it. Miroslava Duma, super stylish and not afraid to stand out. And she also keeps surprising us! Oh, very difficult, because I have so many nice items. But at the moment, I always feel very happy when I put my ASOS glitter boots with stars on. American Retro, Lazy Oaf, Rabeanco, Shrimps, and Rika. Seventies glam: lurex and colored faux fur really make me happy. Don’t be afraid to expiriment. You can only find out what looks good on you, and what you feel comfortable in, if you try it out. How much fun would it be if you find you own signature look? So, what do you think of Iris’ style? You can check out her blog at www.adashoffash.com!